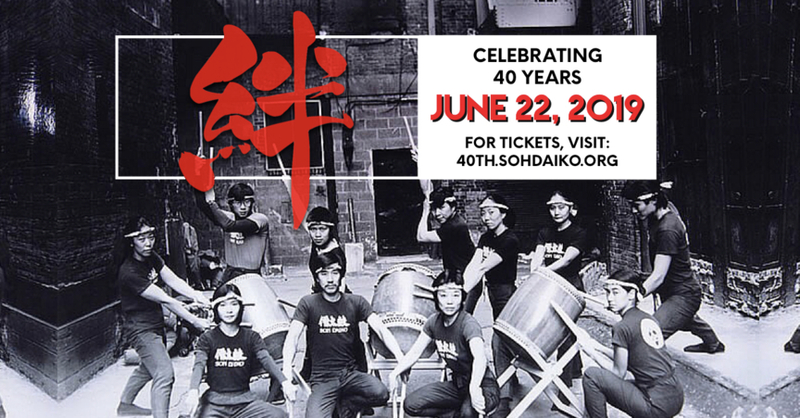 ← Show your Soh Daiko PRIDE and support the Audre Lorde Project. 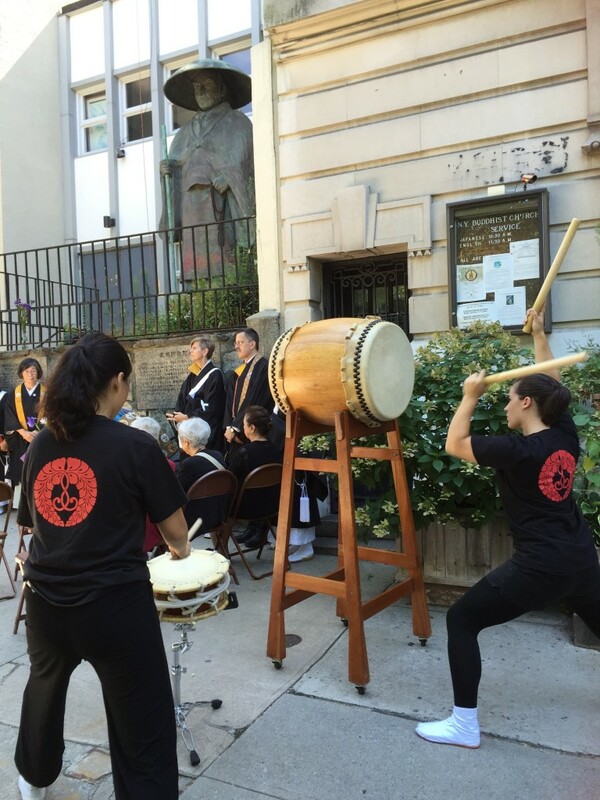 This morning, members of Soh Daiko participated in the New York Buddhist Church’s annual Hiroshima-Nagasaki Memorial Service. Held in front of the statue of Shinran Shonin, a statue that originally stood overlooking the city of Hiroshima and witnessed the devastation of the first atomic bomb 71 years ago, this service serves neither to admonish nor approve of these events, but rather to encourage everyone work towards finding the best versions of themselves, striving towards a common goal of peace. “When 150,000 people were killed and 90% of the buildings in Hiroshima were destroyed by the atomic bomb, this statue was one of the few artifacts to survive. Shinran Shonin founded the Jodo Shinshu school of Buddhism in the early 13th century because he had become disillusioned with what Buddhism had become during the turmoil of the early Kamakura period. We are thankful to the NYBC for including us in this important service and will strive to live up to its message.